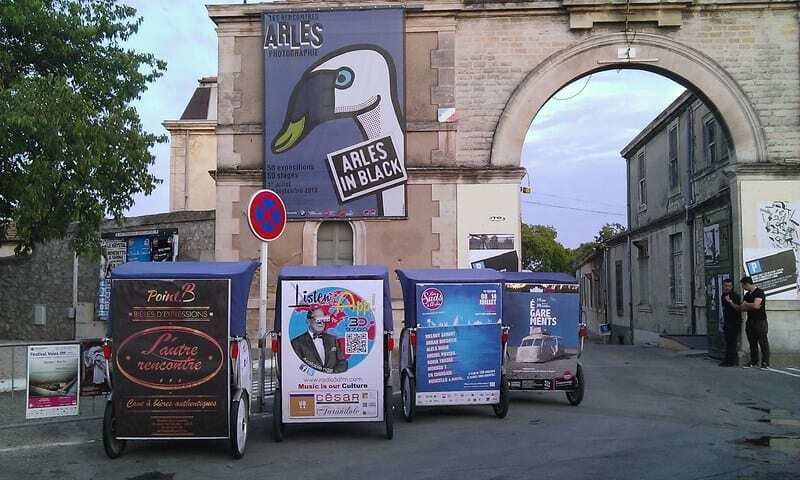 Advertising, Communication and Street marketing eco-responsible in old center of Arles. 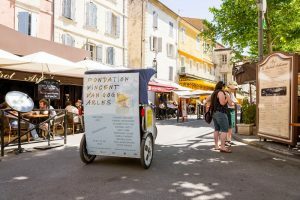 Taco & co, in addition to being a transportation service, is a great tool for urban communication and ecological advertising on Arles. 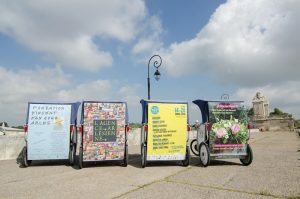 The bike is an innovative advertising medium, original, with great visibility due to its downtown location. The bike covers a wide area while accessing the most qualitative areas (pedestrian areas, historical monuments ..) where advertising does not exist. 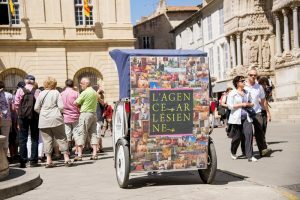 This clean means of transport conveys a positive image and has significant sympathy capital that benefits the advertiser. Editorial on website and social networks. Placard 140/100 cm on the back of the bike + logos 30 / 30cm on sides + logos on wheels. Sign 140 / 100cm on the back of the bike. 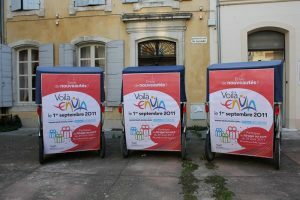 Self-service flyers on the bike. 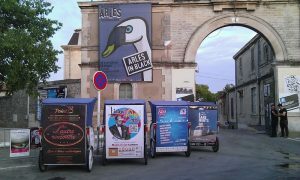 Options: sampling, distribution of leaflets, musical support, VIP free transport ... The options have limits only your imagination. You will find all our references in the section “they trusted us”.